Ashley may not start in her new role until March 4, but she is already counting down the days until summer camp begins! What do you want campers and families to know about you? My love for camp started when I attended JCC Rainbow Camp in my hometown of Milwaukee, and later Camp Agawak for girls in Minocqua, Wisconsin, where I was a camper, counselor-in-training and camp counselor for 10 years. I’m a licensed speech-language pathologist with eight years of school experience, and while I loved my job, my heart was always at camp. During the last five years, I’ve worked at the Mandel JCC J-Day Camps, most recently as the Director of J-Sports Camp. 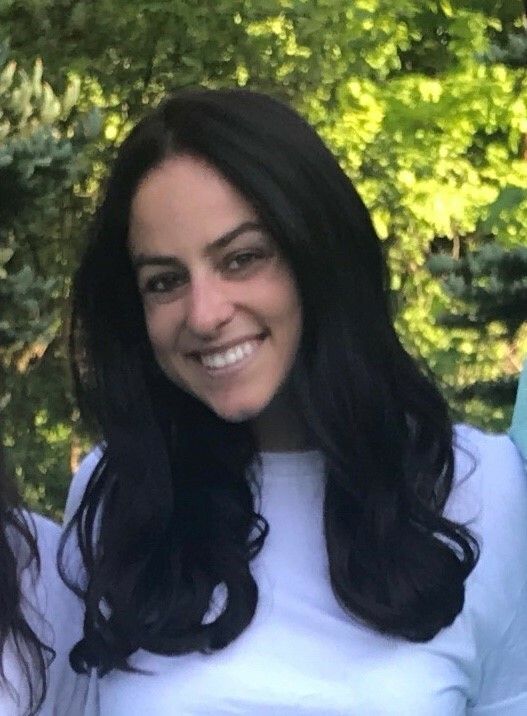 I live with my husband Alex in Solon, and I look forward to getting to know the Akron community, and to growing and strengthening the Camp JCC program. I’m counting down the days until camp begins! What is your favorite experience working at Camp? Camp offers such an incredibly unique sense of community and belonging for campers. I love how excited the campers are to see their friends, and how their faces light up to learn new skills from their counselors. I really love Shabbat and the joy of bringing Jewish experiences – songs and prayers – throughout the camp day. Kids get to explore Jewish identity in a new, exciting way at Camp JCC. When is the best time for families to investigate camps for their kids? The sooner, the better. I encourage parents to secure their spot in the Camp JCC program to get the best discounts. Our early bird savings deadline ends March 31. Depending on capacity, many camps fill up quickly. If your camper is a first-time camper, signing up early allows time for parents to prepare their kids for an experience of a lifetime. What should parents look for when choosing a summer camp for their kids? Safety with a proven track record should be the highest priority followed closely by facility and quality programming. At Camp JCC, kids are able to explore, develop, and grow without the pressures of school and academics and in a safe environment supported by professional counselors. Parents can feel good knowing that their kids are having fun outdoors on our beautiful campus with the use of outdoor fields, indoor and outdoor pools, full-size gym and our large, covered pavilion space. Our camps are well-balanced for campers for all ages and include all social, recreational, cultural, health and educational components. Why should parents choose the Camp JCC experience? As someone who’s grown up in the JCCA Camp network and camping industry, I believe parents can expect the same best practices at Camp JCC. Schedules are strategically planned to keep kids active and to bring out the best in their creativity and unique characters. We also include activities designed to help others, part of positive values such as Tikkun Olam (repairing the world) and Gemilut Chasidim (acts of love and kindness). What do think of this year’s theme: “Rock Away with Camp JCC”? I’m by no means a professional singer or musician, but one of my favorite things about camp is the music and songs. When I was a kid, I could sing camp songs all day long – and continue to sing nonstop camp songs for weeks long after my parents picked me up. My family would learn them too, and that really enhanced the camp experience for me. Camp JCC is special in that it makes meaningful connections for both parents and their kids all year long - and what better way to do this than through music?